A GRADE A office building in Belfast has become the first in the north to receive an internationally recognised certification for its digital connectivity. The Linenhall on Linenhall Street, owned by Killultagh Estates, has achieved gold-level certification from commercial real estate and technology firm WiredScore, following ongoing improvements to the building’s digital infrastructure. The10-storey office block follows in the footsteps of other high-profile buildings to receive the sought after rating, including The Adelphi and the Brunel in London, as well as George’s Quay Plaza and One Dockland Central in Dublin. Brendan Boyd, director at Killultagh Estates believes the WiredScore certification demonstrates a commitment to respond to occupier demands and needs in the Belfast office market. “Great connectivity is core to the tenant experience, and by becoming the first developer to achieve this certification, we believe that we are setting a benchmark across other grade-A offices in the city,” Mr Boyd said. William Newton, president at WiredScore hopes in the city will soon follow the example of Killultagh Estates. “Digital connectivity has become an integral decision-making factor for businesses looking to move into new space. With Belfast on the rise, attracting both local and international tenants, Killultagh Estates has become a pioneer in the city by being the first to adopt Wired Certification,” he said. 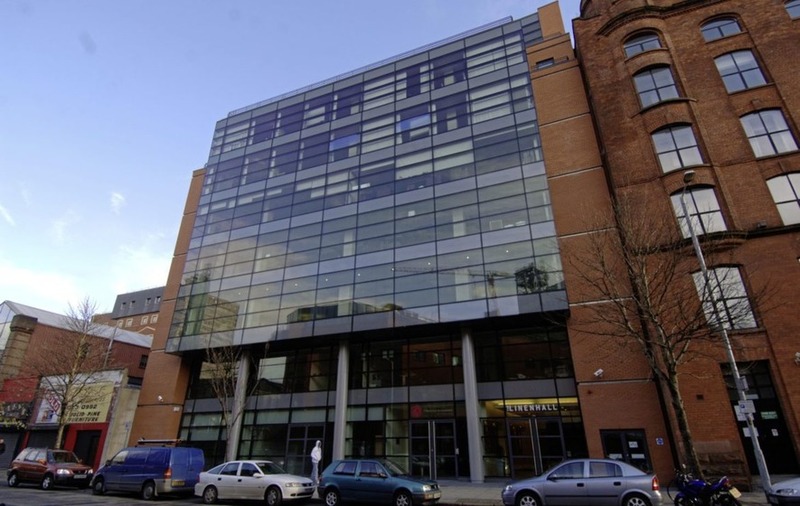 Killultagh Estates is keen to implement WiredScore ratings throughout other buildings within its portfolio, including its new ten-storey grade-A office development, to be located at 5 Donegall Square South in Belfast city centre. The scheme, which is awaiting planning approval, is set to offer 116,000 sq ft of Grade A open plan office space and provide space for over 700 employees. With plans for this development to become the first building in Northern Ireland to achieve platinum-level WiredScore certification, it would replicate properties including LinkedIn’s headquarters in Dublin and Bishopsgate, London. Belfast’s office market is currently enjoying its most successful year on record with take-up in 2018 set to reach close to 1 million sq ft, with a number of high-profile lettings completed. David Wright, office agency director at CBRE added: “The office sector in Northern Ireland has flourished in 2018, and we expect this trend to continue into 2019 given the number of requirements for space in the city. In October Belfast recruitment agency, Honeycomb announced it has acquired the fourth floor of The Linenhall as part of ongoing expansion plans. The boutique agency is to take 1,800 sq ft of space in the office block after moving from its previous premises in the Scottish Provident Building.